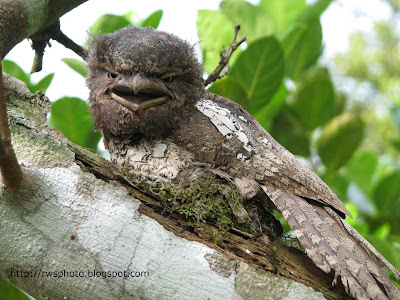 Photo of mysterious tropical Borneo Bird. The bird is probably a family of falcon, eagle or the Borneon Bristlehead. The bird for unknown reason build a nest on a jackfruit branch which is expose to the weather element . 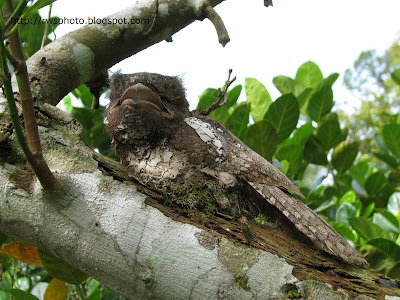 * Responses from my Flickr gallery confirmed that this bird is a juvenile FrogMouth Owl (or Bornean Frogmouth - Batrachostomus mixtus). 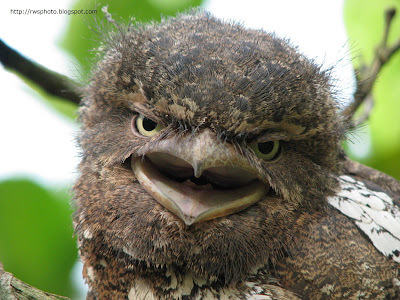 My mum informed me that she spotted this bird and try to explain that is look like an OWL but not exactly an owl. 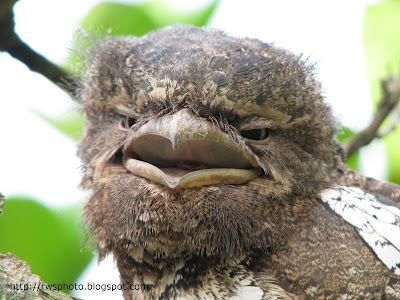 This mysterious bird is definitely not an owl. 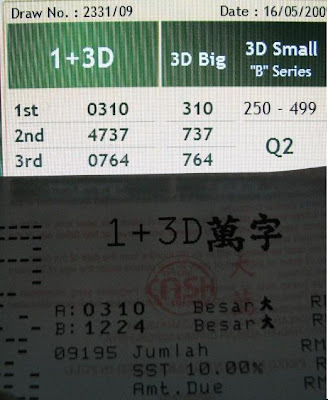 Anyway, after taking a few shots of the bird, I buy some 4Digit lottery on the number 0310 (imagine O=0, W=3, L=1 and a 0) and it strike first prize ! yay ! Enough prize money to buy a few units of DSLR or smartphones. So now it's time to pamper myself. Should I treat myself with a new unit of NIKON D90, a BlackBerry or purchase another 1,000 Gaharu seedlings? Excellent and it was found near your place ?